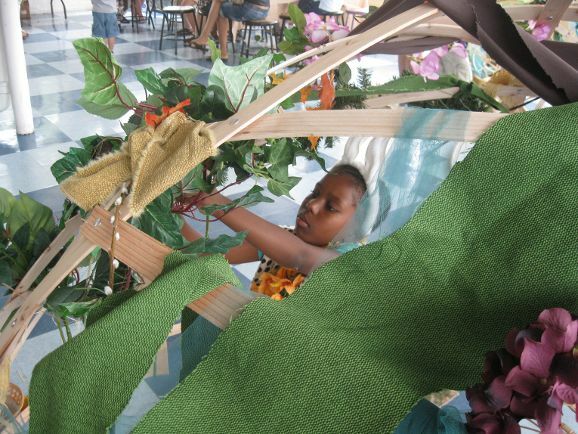 Art and science meet as visitors build nature mandalas, weave natural materials, and sort and trace shells and stones. Make observations and record your findings to classify natural objects. Special Programs and Performances during April School Vacation Week! April Vacation Week! Families join Rhode Island farmers from Paine Farm and Farm Fresh RI, community growers from the Southside Community Land Trust, and more to meet farm animals, including bunnies and goats, in the Museum’s Children’s Garden. Celebrate the beginning of Spring and discover where our food comes from through hands-on connections to young animals and seasonal vegetables. April Vacation Week! Interactive and astonishing, Matt the Magician wows the audience with his one-of-a-kind brand of Charismatic Comedy Magic. Enjoy amazing magic and illusions as Matt creates a show full of wonder and surprise. April Vacation Week! Meet and learn about majestic birds of prey such as a glorious golden eagle, a tiny owl, a red-tailed hawk and a falcon (birds are different every year). Presented by licensed raptor rehabilitator Julie Collier. April Vacation Week! Mad Science puts on an exciting show that explores balance, energy, chemistry, physics, and so much more… all while being presented in a dynamic and interactive way to captivate and educate curious young minds! The Room of Necessity • 5:00 PM – 7:30 PM – Create, build and play pretend in your own imagined world, inspired by astronomy, nature and wizard-y themes. Celebrate the beauty of the earth and design weavings and mandalas of natural materials, using fibers, shells, stones, flowers and leaves. This extra special Earth Day weekend will feature stories and storytelling every hour, on the hour, from a list of favorite children’s books about nature collected by PCM’s staff and volunteers. Challenge your Lego building skills through creative prompts and imaginative free building. Build bridges that span waterways and explore solutions to help a Lego person climb out of a cave. 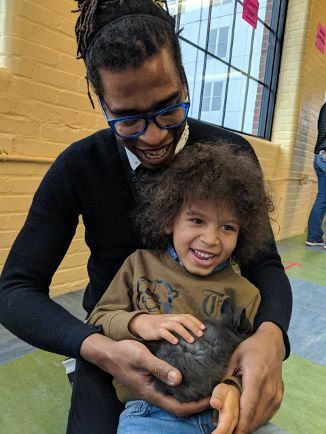 Play and Learn is the Museum’s open-ended story-based program especially for 2- to 4-year-olds and their parents, designed to help preschoolers build their skills in a variety of areas and to help parents continue the learning at home. Help Jack and Jill solve the giant’s puzzling spatial challenges in an interactive performance that expands on the classic tale.